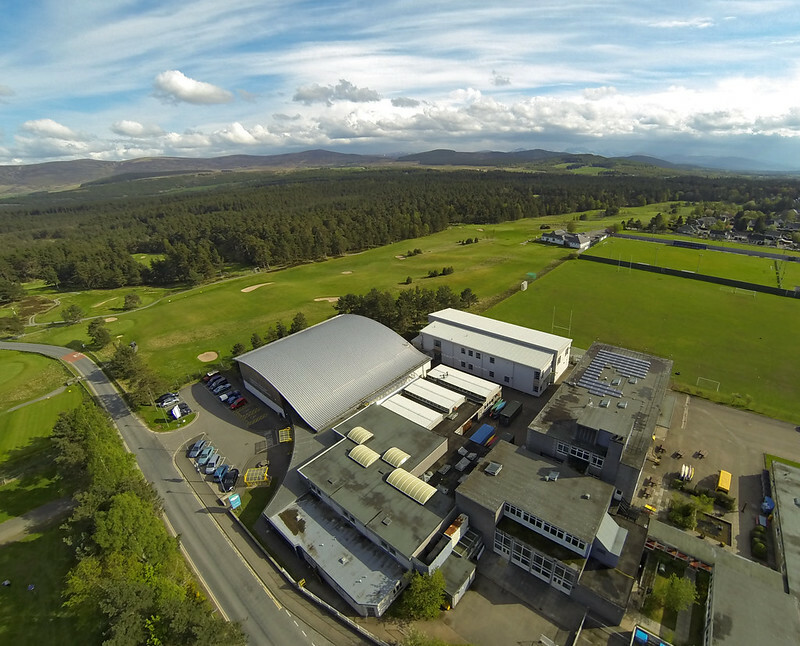 Aaron Sneddon of Aerial Scotland initially captured aerial photographs using a 3 Metre sled kite and a KAP (Kite Aerial Photography) gimbal, the gimbal used FPV and could be panned/tilted from the ground, to this day people stop to look at this non powered wonder, capturing images with the slightest breeze. 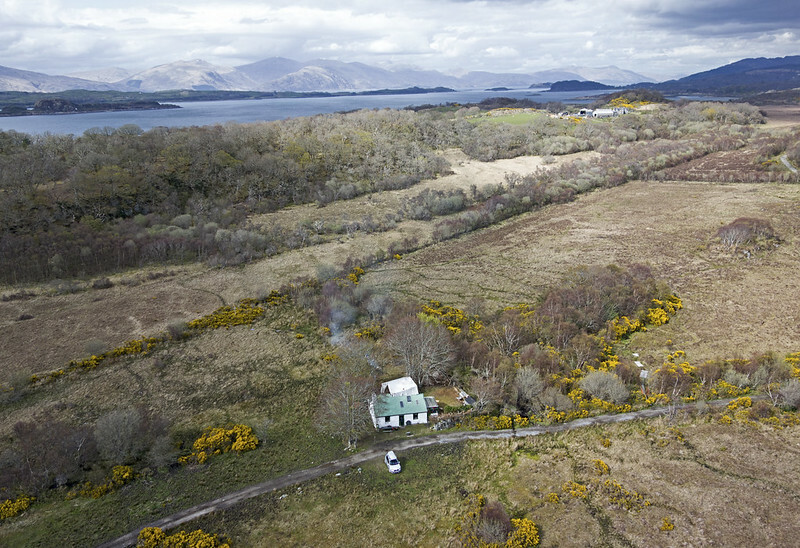 Above: This solo cottage sits on the West Coast of Scotland, the image was taken as a birthday present of a friend of the home owner. The image was taken from a DJI Phantom 1 with Sony RX100 on a home made gimbal underneath. The kite proved unreliable, when there was too much wind it was like a raging bull to handle, when there was no breeze, the kite wouldnt leave the ground, never mind lift the camera and gimbal. It was time to move on to the next "Solution", the Airplane. By protruding a telephoto lens out of a moving fixed wing small aircraft the tried and tested way of capturing aerial images was used, only it was impossible to stay in the same place, there was usually only one chance to capture the image if the weather was patchy, and fuel was an issue when travelling long distances to capture aerial images. Another minus of taking images from a fixed wing aircraft was that it was impossible to do stitched imaging from low down, in fact it wasnt possible to point the lens right down at all. 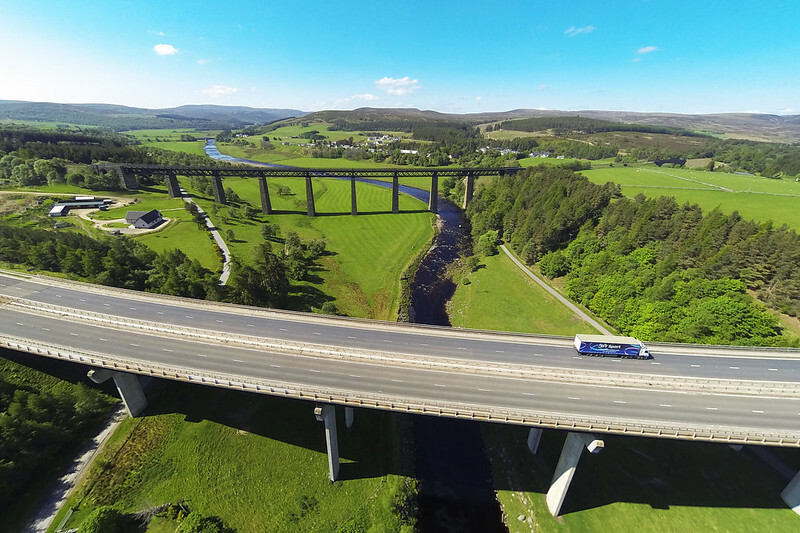 Above: This image was taken with the DJI Phantom 1 with a Gopro attached, note the distortion that the Gopro causes, this was one of the reasons to move up to the DJI Inspire X5, then to the X5R. I now use the DJI Phantom 4 Pro due to client demand (100Mbs at 60FPS) for most assignments and other craft depending on demand and technical requirements. Later Aaron moved on to using the Helikite, which was a hybrid 5 Cubic Metre kite and Helium baloon combination. 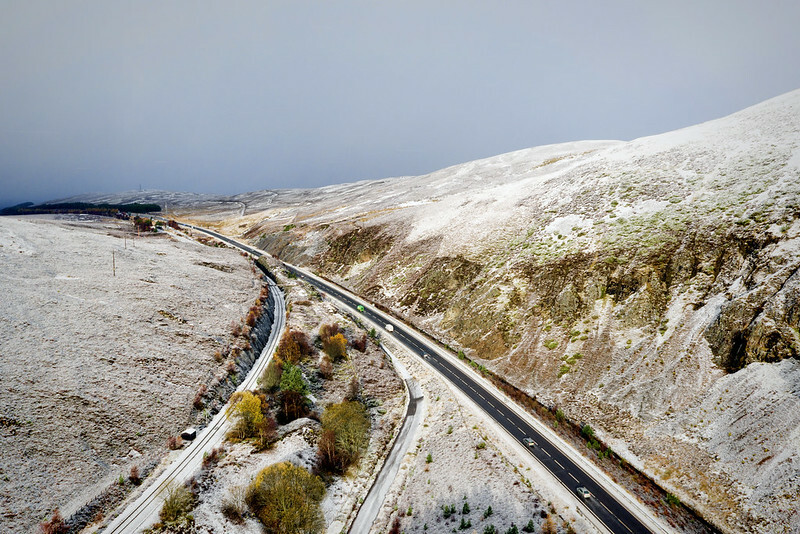 Above: This image, marketed by Getty Rights managed, was taken on a wintery day south of Inverness, Scotland. The image was taken with the DJI Inspire X5. Above: The pole is a wonderful tool, raising to 10 Metres, the bonus is being able to attach the full frame Nikon D750 on, which has wireless for FPV through the tablet. With new technology emerging, Aaron purchased his first UAV, a DJI Phantom. With a small form factor, this became useful to create aerial images within a minute or two from launch. This was only an intermediate solution, as the sensor is too small and the video/image capture limited, photo and video quality were not to standard. Above: Taken with the Gopro on the DJI Phantom 1, this smiling image was taken for a pressure group, against building an electric substation to the top of the image, in between the "Eyes". Above: An older image taken with the GOPRO from a Phantom 1, with the Gopro colours bleed over, you also have quite a lot of distortion, the image still proved popular. 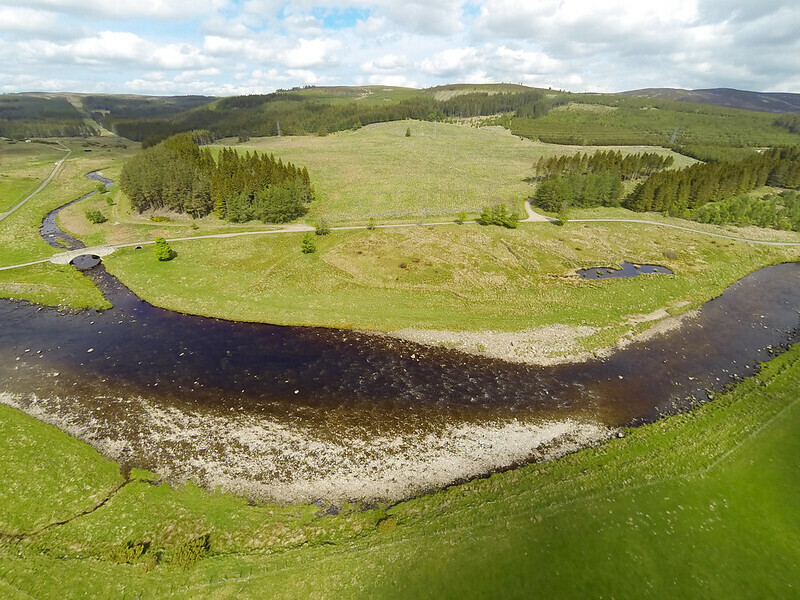 Above: Another Gopro aerial image, colours are vibrant but at full dimensions you can see colour bleeding into neighbouring pixels. The camera and gimbal were removed and on went the Sony RX100, a very small mirrorless camera that takes brilliant images, but on the Phantom that was about all it could do, the gimbal wouldnt hold it because of the weight, the Phantom was Gumtree'd. 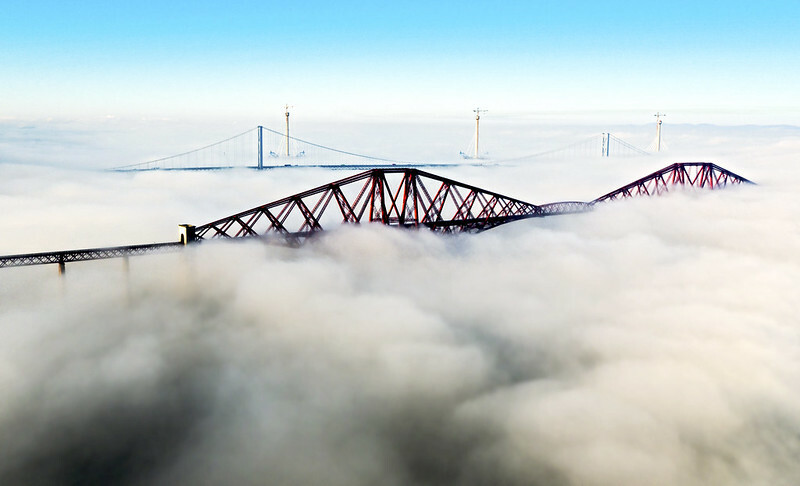 Above: Taken with the Inspire X5, Forth Road Bridges. 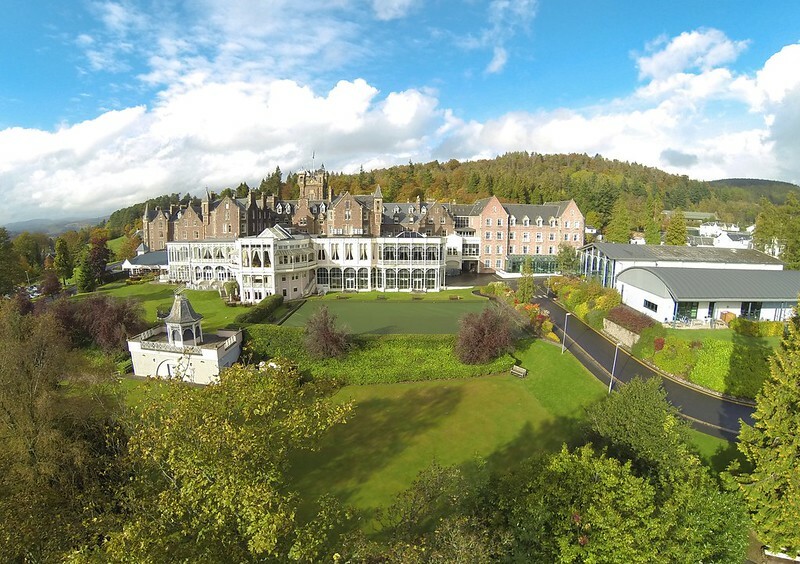 Roll on to 2015 and the DJI Inspire with Zenmuse X5 was tested then brought in, AerialScotland was born. Aaron completed the practical and theory tests, then applying for CAA PFAW (Permission for aerial work). 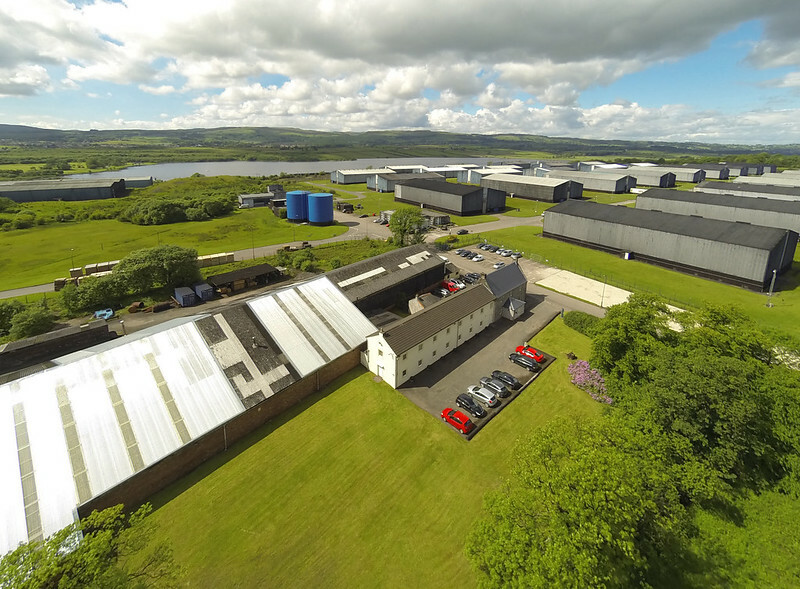 Now insured and with a permission from the CAA to work commercially, the sky is literally the limit. Aaron has created footage for Daily Record, STV, SKY, Travel Channel and more. 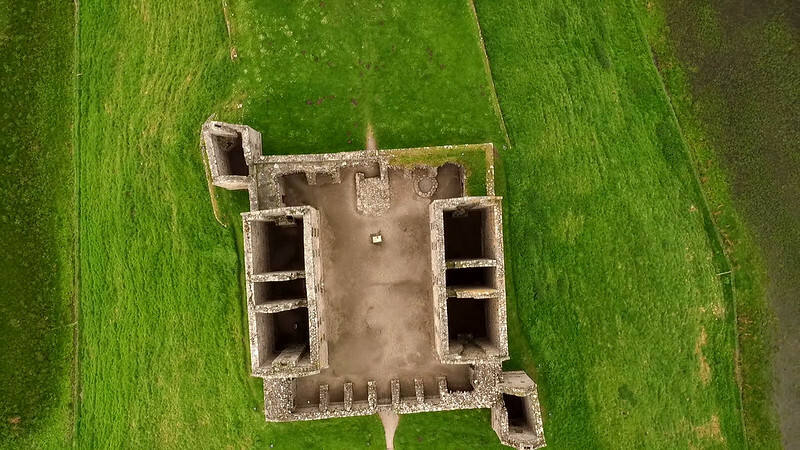 Above: Ruthven Barracks aerial photo taken with the Inspire X5, lesser known as one of the "Wolf of Badenoch's homes". Above: Distortion yet vibrant colours from the old DJI Phantom with Gopro.